How to find the hypotenuse of a right triangle with this hypotenuse calculator? With this hypotenuse calculator you will quickly find this longest side of a right triangle. If you want to know what is the hypotenuse of a right triangle, how to find it and what is the hypotenuse of a triangle formula, you'll find the answer below, with a simple example to clear things up. 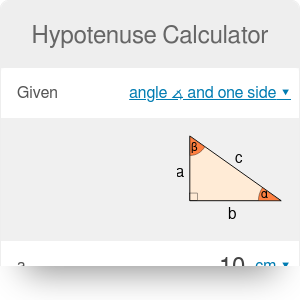 Don't wait any longer, give this hypotenuse calculator a try! A hypotenuse is the longest side of a right triangle. It's the side that is opposite to the right angle (90°). 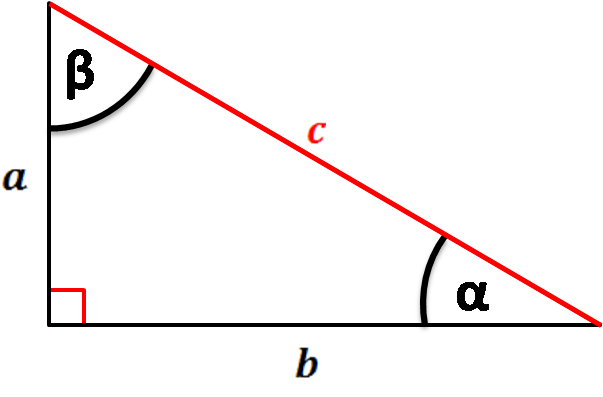 Hypotenuse length may be found, for example, from the Pythagorean theorem. Let's calculate how long should the ladder be if we want to rescue a kitten from a 10 ft roof. The calculator helps to find the ladder length from the ground to the edge of the roof, but don't forget about a ladder part which should extend over the edge! Choose the option needed for your calculations. We know that our roof is 10 ft in height and that the safest angle for a ladder is ~75.5°. From dropdown list of given box select the option: angle ∡ and one side. Change the units to feet. Enter the given values. Our leg a is 10 ft long, and the α angle between ladder and ground equals 75.5°. Ladder length, which is our right triangle hypotenuse, appears! It's equal to 10.33 ft. 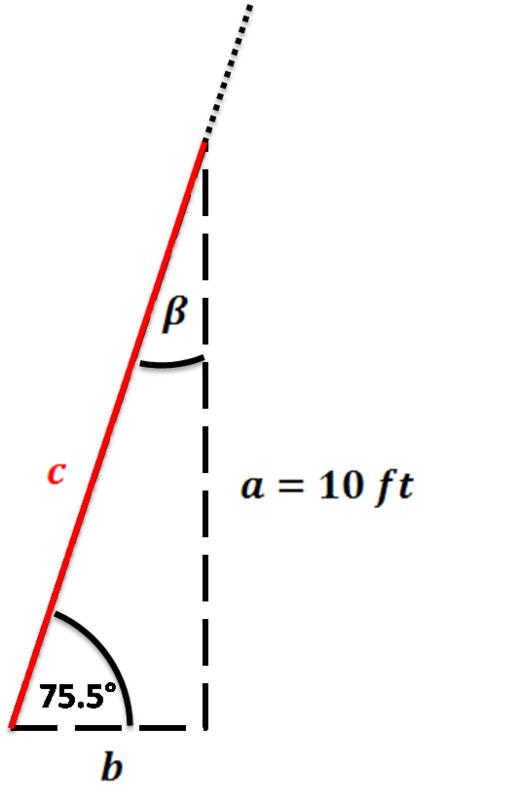 The angle β = 14.5° and leg b = 2.586 ft are displayed as well. The second leg is also an important parameter, as it tells you how far the ladder should be removed from the wall (or rather from a roof edge). The general principle to remember is a 4:1 rule - for every four feet of vertical height, the ladder foot should move one foot from the wall. Hypotenuse Calculator can be embedded on your website to enrich the content you wrote and make it easier for your visitors to understand your message.